​Many of you may have known that the Government has passed legislation to enable payday filing. This means that employers and payroll intermediaries must send their employment information every payday rather than monthly. The IRD changes to PAYE payday filing are voluntary from 1 April 2018 and compulsory from 1 April 2019. 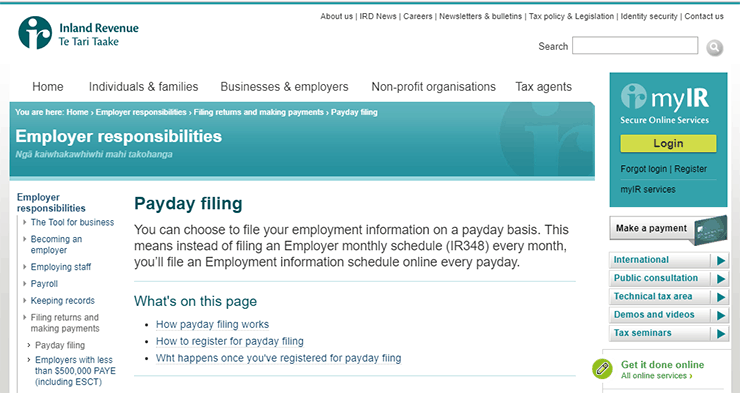 The IRD launched the new Payday filing function on 16/4/2017. Prior to this date, we have no access to the system to do any testing. Our Developers are working hard on getting this function available to Crystal Payroll’s customers. We will publish a “How-to” document as soon as the feature is available. ​Click here to find out more information about Payday filing.